Just take me to the best DD-WRT routers! DD-WRT is firmware that is installed on a DD-WRT compatible router. Normally, routers are shipped with stock firmware created by its manufacturer. It is normally a relatively basic build. These basic builds make it easy for home users (who mostly are less technical) to set up their routers. Basic settings are provided to give wireless and wired connections, a path to the internet and some security to stop others hacking in. Some stock firmware has more advanced features, but these features themselves can be limited to a certain extent. Installing DD-WRT firmware gives the router owner complete control over their little ‘black box’. And if set up and tweaked correctly, can have a more powerful and featurific router than they ever could with the basic stock firmware that they inherited. Note that not all features are supported on all DD-WRT devices. You should refer to the DD-WRT Supported Devices list for further info. QoS (Quality of Service) is perhaps one of the biggest draws for anyone going DD-WRT. QoS lets certain or all users get priority (or less priority) to certain or all services. Why? Well, if you are watching YouTube and the video keeps buffering, or making Skype calls and they keep dropping out. Or maybe you’re playing games and the lag is terrible. This could be caused by a congested network, particularly on your Internet connection. Congestion can be caused by other users on their network devices, knowingly, or unknowingly using your precious Internet bandwidth. Well, QoS can help improve the experience by giving ‘priority’ to these applications. Quality of Service can be fine tuned as much as you want. This can be applied to the WAN or the LAN (and wireless LAN). Most users will probably apply QoS to the WAN settings, as the internet connection is usually the bottleneck on anyone’s network. You can start off by stating how much or the available bandwidth should have QoS applied to the WAN link. DD-WRT recommends 80% - 95% on the Uplink (upstream) and 80% to 100% of the Downlink (downstream). So for example, let’s say your internet connection is 50Mb downstream and 2Mb upstream (as advertised by your ISP). ...and between 1.8Mbps & 1.96Mbps (18000000 &19600000 Kbps). Yes, we added the Kbps (Kilobits per second) unit, as that’s what has to be entered into the DDWRT GUI. You can check the ‘Optimize for Gaming’ box if you have any gamers that need QoS. This is a one-stop shop to help online gaming on your network. Then you can get down to the nitty-gritty of deciding who gets prioritization and what they get that priority in. Exempt, Premium, Express, Standard and Bulk. So for example, you can specify Skype & voice within the ‘Premium’ category, and place BitTorrent into the ‘bulk’. By doing this, your voice and Skype will be given priority, and any BitTorrent users on your network will be given lower priority than anything else, including voice & Skype. Then, optionally, you can choose how much bandwidth users get. This is done on a MAC address level. A MAC address is a unique number assigned to any network device. You can also specify a network to get priority, but this only comes into effect whenever multiple vlans are used. Most users will just use the default one vlan. There is a final option to specify how much default bandwidth each device gets that have not been previously specified, in the Default Bandwidth Level section. If you are out on the road, or on vacation, and you forgot to grab a file on your NAS box or storage drive. Or maybe you need to kick off a download from your home? You need to access your home network safely and securely. The way to do this is via VPN. DD-WRT supports PPTP, L2TP and OpenVPN. OpenVPN is the way to go if your client devices support it as it is the most secure and runs pretty fast. What's the difference between VPN & VPN Passthrough? Within the Status tab are some monitoring stats that will help you get a grip on how much your network is being utilized. This is particularly useful against the WAN (Internet usage). You can drill down to see how much each user is accessing the network and how much traffic has traverses the interfaces of your router. You can even kick off wireless users from here, if you feel they are enjoying your network a little too much! Useful if you have an old router kicking around that is compatible with DD-WRT, and you want to extend your existing wifi network. Rather than buying an extender or bridge, you can convert your old router into one of these – for free. Just remember though that usually the old router will be less spec’d than whatever router you bought to replace it, so you may be limited to those capabilities. For a Wireless Bridge, go to ‘Wireless’ and change to ‘Client Bridge'. If you have a router that is past its best, you can use the Watchdog feature. Old, less powerful routers, may have less RAM and CPU. This could result in frequent router lockups. Essentially, Watchdog pings an IP address, let’s say Google, and if it can’t reach it for a designated period of time, you can specify that the router reboots. Watchdog can also be used internally for connections to other APs (Bridges/repeaters). So, if they lose contact, they can reboot and connect again. Best to set this up on the other APs in a similar fashion, as the other APs will remain ‘frozen’ if they aren’t rebooted too. Useful if you want to give your wireless network a little more coverage. You can really go into fine details in the Advanced section. The default setting is 20mW (milliwatts). DD-WRT recommend going no higher than 70mW. Perhaps try gradually tweaking up towards this figure and testing as you go. Be careful going crazy with the Transmit Power option. It is possible to negatively affect your wifi network – not to mention your neighbors! Tx Power Adjustment: Why Change It? If you need it, there is vlan support. This is for larger and more complicated network setups. It’s especially good for security and access. For example, you can let some devices or users within a vlan have more or less access than devices in other vlans. Use Access Lists to control who or what has access in or outbound on the whole network or parts of the network. Think of Access lists as advanced parental control. The owner can set up policies that blocks or restricts all users or certain users to certain destinations and/or certain services - and this can be controlled right down to the time of day. You can give remote access to the outside world to a particular device on your LAN network. Without this feature, the outside world cannot initiate contact with an internal host – the dependency is always the responsibility of the internal host to make contact. This is particularly useful in the world of online gaming. Ever have ‘NAT’ issues when trying to join games? That’s the outside world’s game server trying to contact your games machine, but can’t because by default the router firewall blocks it. By configuring Port Forwarding, you are allowing (on a relatively safe basis) a specified set of outside addresses (and services) access to your games machine. Port triggering is kind of the same as port forwarding, except the internal host still needs to initiate conversation. For a period of time after, the outside host can talk back on a restricted level. To be honest, this requires a whole post of its own. So we’ll keep this fairly brief! Disclaimer: Careful! Before even thinking about upgrading to DD-WRT, there is a chance that your router will end up ‘bricked’ which is another way of saying ‘trashed’ ‘ruined’ ‘killed’ and any other word which is similar to ‘destroyed’. Yes, it is possible to destroy your router (difficult and maybe impossible to repair) if the upgrade steps aren’t followed correctly. Even if they are, there is still a chance (although very small) of ‘bricking’. You have been warned! Also be aware that upgrading to DD-WRT will void any router warranty remaining. I know we have already mentioned this, but it is important! Just know that you need to first ensure your router (or the router you are going to buy) is compatible with DD-WRT. Installing DD-WRT on a router that doesn’t support DD-WRT can brick the router. So it is very important to examine the Supported Router list. This detail goes right down to the version number of your router model! Also check to see what features you can or cannot get with each download. 1) Download the correct firmware from the DD-WRT website. 2) Make sure you have an Ethernet cable handy. You must always work with wires when upgrading, Do not use wifi! If there is a wireless button on the router, ensure it is switched off / disabled. You’ll probably also want to use Internet Explorer, or at least the browser recommended by the manufacturer of your router. 3) Do a full reset of the router – leaving you with factory settings. This is also known as a 30-30-30 reset. 4) If you don’t have a wifi button on your router, log into it via GUI and disable within the wifi settings. Your login details may differ from before the factory reset. Go to the manufacturer’s website to determine the default login and IP. 5) Then within the router, go to the Router Firmware or Router Upgrade menu and upload the firmware you just downloaded from DD-WRT. Once done it can take 5 to 10 minutes for the firmware to install. So be patient, even if it seems like nothing is happening. This is the time to make a coffee and chill. Do not turn off router prematurely, to avoid bricking it! You may be prompted to create your own login credentials. if so, you ignore the above. 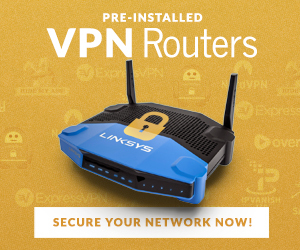 If all this sounds too scary or difficult, and you know you need to buy a new router anyway, have you thought about buying a router with DD-WRT pre-installed? FlashRouters offer such a service. You do end up paying a little more than buying with a normal stock image. At least you know that your router won’t be bricked and you can get on with setting up your router DD-WRT style! You also get access to their tech support (for a limited time) to help you set up the router to suit your needs. 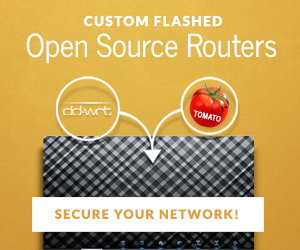 FlashRouters also offer add-on options, including VPN services. Now these are different from the VPN options we talked about earlier. These VPNs are for outbound services. So you can browse the Internet with more anonymity and access streaming services that may be locked down in the region you live in. Basically, using a VPN tricks the end destination into thinking you are somewhere different from where you really are. Oh, and your traffic is encrypted! The Asus RT-AC88U succeeded the ever-popular 87U. It is well stocked with firepower and just like the 87U, has a DD-WRT firmware build. Ethernet lovers are going to lap up the eight gigabit LAN ports. 2 of them can be bundled together to double throughput. This might be of use top you if you have a compliant NAS box or server. We wanted to add the newly released Nighthawk X10, but there isn't a DD-WRT firmware ready - yet. It may be by the time you read this! So, the next best thing is its predecessor, the Nighthawk X8 R8500 (also available on Amazon). Don't let the fact that this is Netgear's second most powerful router put you off. The X8 really is an awesome piece of kit. It has plenty of grunt (1.4GHz CPU & 512GB RAM) along with MU-MIMO, 8 Antennas and Tri Band wireless. Linksys brought out the original WRT54GL, many years ago now. It is an iconic router, which harks back to the Wireless G days (yep, it really is that old). When people think of what a home router looks like, this is it. Well, a couple of years ago, Linksys reverted back to this iconic design with the WRT1900AC, and then the WRT1900ACS, culminating with the WRT3200ACM (Amazon link). It's got plenty of power to handle multiple clients, using all the features DD-WRT can provide. TP-Link often offer less expensive alternatives. The Archer C9 is one such router. Spec'd similarly to the aforementioned TP-Link Archer C9, the R7000 was the first Nighthawk release from Netgear. This router should still produce the goods for most users out there. Please be aware that some of the features mentioned are only useful if you have network clients that support that feature. For example, MU-MIMO and 160MHz streams will only work if your network clients support them. Non-supported clients will still connect of course, and be usable, but they just won't reap the full benefits that the features provide. Note: Linksys WRT3200ACM will not work as a wireless repeater with DD-WRT.